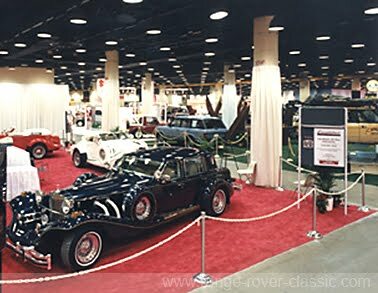 Show at McCormick Place, February 13-21.
of the most successful launches of any European luxury car in the United States. goals and most of the car's network of 60 dealers reported backlogs of orders at year's end. Worldwide, Range Rover sales jumped 39 percent. this vehicle at the top of the fast-growing sport/utility market," said Charles R. Hughes, president, Range Rover of North America, Inc., headquartered in Lanham, Maryland. Aside from the car's unique combination of luxury and performance, buyers recognize the Range Rover's solid investment value, said Hughes, noting that the average buyer is 43 years old, has a median income of over $200,000 a year, two or more homes and an active lifestyle. business executives throughout the world. Portofino Red, Colorado Silver metallic, Alaskan Blue metallic and Savannah Beige metallic. $33,400 which includes air conditioning and a full range of power-assist and comfort features. capable of powering the 4,303-lb. vehicle beyond 100 mph. sophisticated ride leveling device, and four-wheel disc brakes. March in what has been described as "the toughest off-road adventure in the world". grueling Camel Trophy adventure from north to south on the island nation of Madagascar. 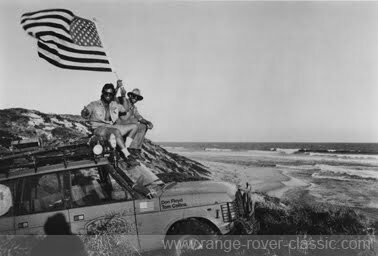 The Camel Trophy vehicle's basic suspension is standard equipment for U.S. Range Rover owners. Range Rovers can now be leased from dealers through Chase Manhattan Bank's leasing programs. information on the Range Rover, nearest dealers, etc. The number to call is: 1-800-FINE 4WD. 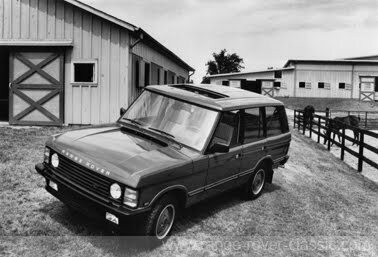 Range Rover of North America, Inc., is a member of the Land Rover Group of companies, Solihull, England.